California Giant Berry Farms is one month away from selecting their chef finalists to compete in the 2nd annual Chef Invitational held at Tehama Golf Club in Monterey, Ca. Submissions are due May 1, 2019 while finalists will be announced May 10, 2019. This year, along with asking chefs to bring their best berry-inspired entrées and desserts, the company is adding new aspects to the June 25, 2019 event. The culinary competition and experience is meant to strengthen relationships and cultivate new partnerships—and this year, the Chef Invitational will present a Foodie Forum the morning of the event to unite foodservice partners, finalists, California Giant Influencers and special guests to share their industry experience. This will serve as a deeper dive into fresh trends, berry trends and how California Giant can continue to build their brand and loyalty with this importance audience. “We’re really looking forward to the addition of the Foodie Forum this year,” explains California Giant Berry Farms Director of Foodservice, Tom Smith. “Our blogger and brand ambassador Ashley from Fit Mitten Kitchen will bring a relatable, attainable approach to cooking and can communicate hacks and at-home tips for the everyday consumer to help recreate the chef inspired recipes at home,” Smith adds. Denis Boaro, judge and forum speaker at the event. 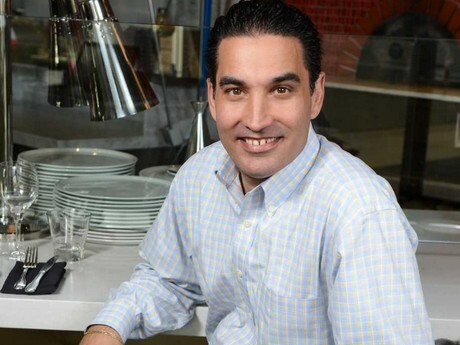 Denis Boaro, owner of Carmel’s Basil Seasonal Dining and Seaside’s Gusto Handcrafted Pasta and Pizza, will return to the 2nd annual event as a judge and forum speaker to share his industry experience and discuss partnership development. As the Chef Invitational competition commences, culinary tastings will be plentiful with bites and samples hand-made by Chef finalists for attendees to observe and enjoy. In addition, local sponsors will showcase and sample berry-pairing offerings around the room. Guests can enjoy happy hour courtesy of returning local sponsors Odonata Wines and Alfaro Family Vineyard Wines, Lula’s Chocolates, California Giant mixed berries, a California Giant raspberry beer collaboration with Santa Cruz Mountain Brewery and an array of cheeses and meats to pair for an afternoon of bites, beverages, and entertainment. Tony Baker, emcee of this year's competition. 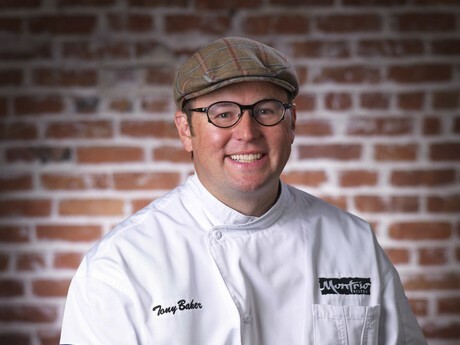 This year, Chef Tony Baker, Executive Chef of Montrio Bistro as well as local radio and television personality will emcee the competition, as well as accompanying the group on field tours, the Foodie Forum and hosting the Chef’s Welcome Dinner. 2018 Chef Invitational Top Chef Luis Reyes of Sysco West-Coast Florida will also join the group during the 3-day event and will present the award to the incoming 2019 Chef Invitational Top Chef.